Whether you need a small panel van or a fleet of 20 artic units with specially designed and built hospitality trailers, Chambers can provide them. Iveco's range of commercial vehicles are the main stay of any business, they give practical usability with excellent performance and economy. Chambers Engineering can provide all the help and support you need to decide of which van best suits your need, and with the full back up of their coach and body shop they can ensure it is an exact fit to your exact requirements. With over 50 years of practice Chambers Engineering are able to design and build you almost any type of vehicle you care to mention. 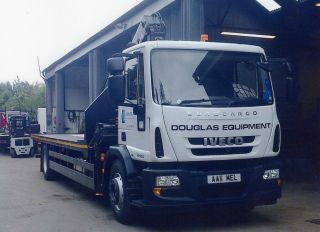 From a mini tipper to a £1 million hospitality carriage and modified tractor unit.